Stanzas, freeform, sestina, open and closed form. Do these mean anything to you? They barely registered on my literary radar. 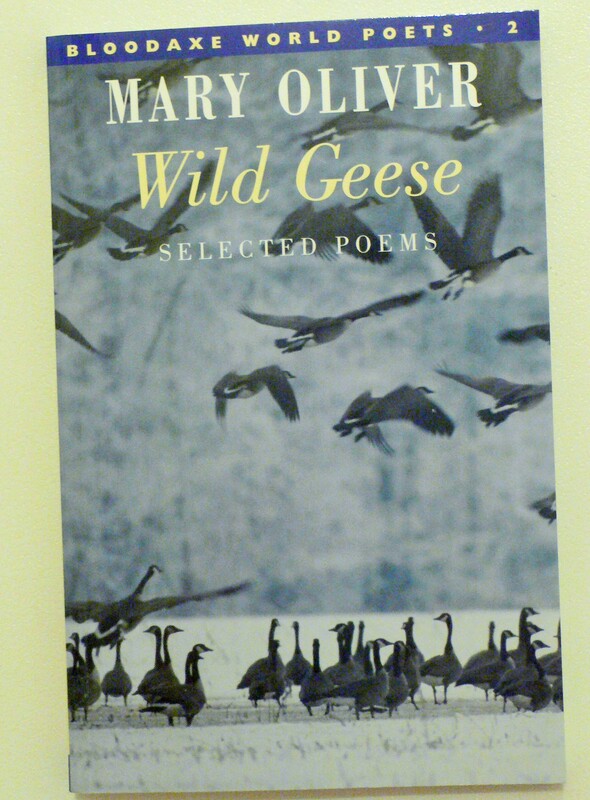 As part of my Creative Writing MLitt at Glasgow University I have had to read several volumes of poetry. This initially provoked feelings of shock, horror, dread and silence (lest my fellow students discover my aversion, and ignorance). Not that I’ve never read any poetry before, I have. When I was a teenager I was fond of Robert Browning, Emily Dickinson and E.E. Cummings, amongst others. But I treated them as the adolescent phase I thought them to be. The saints of the literary world who were too high up to ever really understand, and certainly too lofty to emulate. But the worst part of all was that we actually had to write a poem. Choke, gasp, gulp. Terrified of the exercise, I panicked. How do you start? I thought I’d better find out. So, I went to the library and took out The Ode Less Travelled by Stephen Fry (http://www.amazon.co.uk/The-Ode-Less-Travelled-Unlocking/dp/009179661X). In it he talks about what goes into poetry in such an accessible way as to make you think that anyone can be a poet. He covers the history, various forms of poetry and metre. But the best part of it is that he even teaches you how to write a poem. Which I did. I reeled off a Shakespearian sonnet about my cat, Cleo, who just so happens to be named after the ancient Greek muse of history and literature. 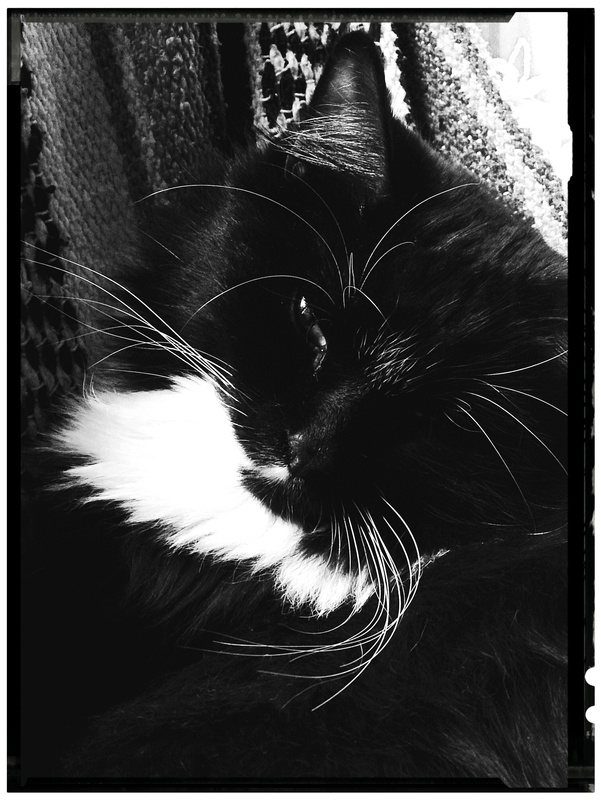 Here’s a photo of the feline version for inspiration, in case you’d like to write your own Ode to Cleo. And for good measure, here’s her brother, Othello. Isn’t he inspiring? So I’ve changed my mind. I’ve even written a poem…or two. Not that they are any good, but I’m getting over my metrophobia. How did I do this and what brought about my recovery? Firstly, having a passionate and inspired professor, who is also a poet, helped (Dr Carolyn Jess-Cooke, who you can read about here: http://www.carolynjesscooke.com/ ). As did getting to meet and hear poets read from and discuss their work. One of the poets we heard was Sheri Benning, a Canadian poet from Saskatchewan who read several poems from her collection Thin Moon Psalm (which you can read about here: http://poetryreviews.ca/reviews/thin-moon-psalm-by-sheri-benning/) As I listened to her read, I was transported to the small farm she called home. I could see the light of the moon on an early spring morning and feel the sweat on her father’s back as he worked. But most of all she captured an image, an emotion, revealed a truth and sometimes told a story—which I could relate to. Yet she did so in only a very few words, and with a rhythm to her voice which made her stories into songs. I realised that each and every word must be appreciated for the sum total of its parts, not just its meaning but also its sound. I also realised that the idea of poetry being inaccessible to the layman is nonsense. For example, there are several spoken word artists such as Hollie McNish (http://holliepoetry.com/poetry-videos/) who writes and performs her poetry without any fancy degrees or literary training, and Kate Tempest (http://www.katetempest.co.uk/about), who grew up in a working class family in South London, began as a teenage rapper and now performs all over the world. I’ve also learned to love the tightness and control of poetry. You would think that the narrower the remit for a piece of work, the less creative but I’ve found this to be the opposite. That isn’t to say that a saga like novel isn’t creative—not in the least. But in a poem, you only have a short space to express your thoughts, and forcing yourself to follow the rhyme and rhythm of verse mentally channels you to be choosier about your language and the words you use to express your thoughts, feelings and ideas. What do you think about poetry? Enjoy it? Not enjoy it? Have you ever tried writing a poem and if so, how did it go? I’d love to hear your thoughts, and maybe even your poems if you felt like sharing them! And to end, here are a couple of interesting poetry magazines I’ve discovered as a result of the course. Check them out, and see if they change your mind. Thanks for reading. Until next time! 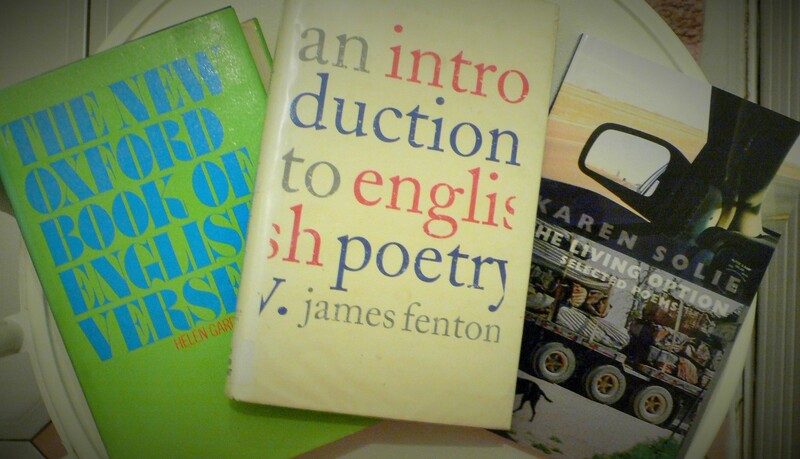 I love reading poetry, and am looking forward to a future module where I will be studying poetry for nine months. I have a few favourites – mostly those who I’ve heard reading their work, such as the much missed U.A. Fanthorpe who signed my copy of her selected poems, and the very much alive – Carol Ann Duffy – who signed three of her books. As for writing it, I’m not very good, but hope to improve! Hi Ruth, That’s great to hear! It seems a lot of people–writers included–avoid poetry and are afraid of it. I think this probably stems from a lack of understanding. Your module sounds fascinating, I hope you enjoy it. 🙂 I’ve not read U.A. Fanthorpe but I have read Carol Ann Duffy and really enjoyed her work. I will have to get hold of some U.A. Fanthorpe sometime soon :-). Thanks for your comment! 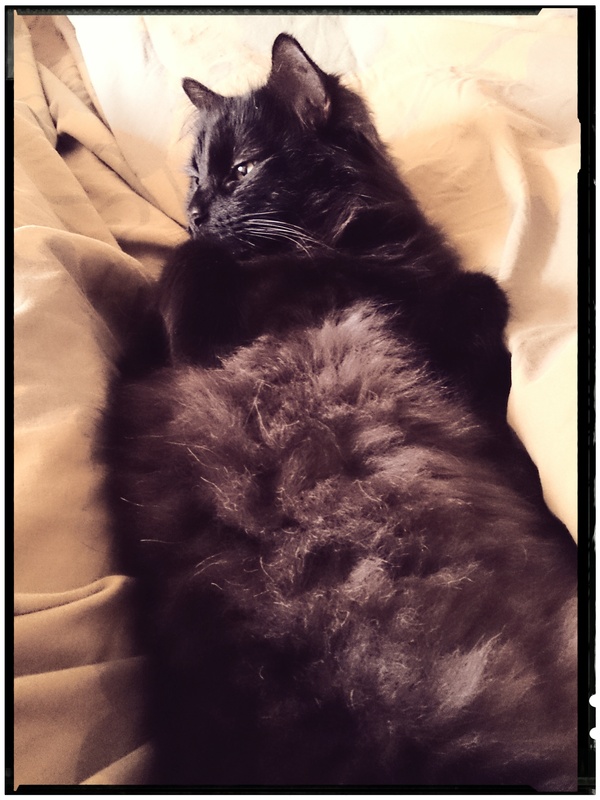 Great blog post, I love your photos of Othello and Cleo they are both so cute. I like listening and reading poems too.. I think a lot hold such emotion in just a few words… I also have in the past had a go at writing poems, but it hasn’t gone all that well, Although I very much so enjoyed writing them and sometime can be a good release..
I’m glad you enjoyed my post, and also the photos. And I agree, poems can hold so much emotion in so few words and I think that’s one of the things that makes them so special. 🙂 I’m sorry to hear that your attempts at poetry didn’t go as well as you would have liked. I think it takes a lot of time and practice to be a poet, just like any other kind of writing. I’d love to take a poetry class sometime just to have a space to explore and practice writing them!